Windsor Police are looking for the assistance of the public in identifying a suspect involved in a number of fraudulent transactions involving the use of a stolen credit card. On April 11th, an unknown male suspect visited the Canadian Tire store on Tecumseh Road East near Lauzon Road and attempted to purchase a quantity of Canadian Tire gift cards by using a stolen credit card. This attempt was unsuccessful, however a short time later, the same suspect was successful in fraudulently obtaining a number of pre-paid Mastercards from the Sears located at Devonshire Mall. During this occurrence, the suspect was captured on the store surveillance video. The investigation to this point has failed to determine the identity of the suspect involved in these fraudulent transactions. 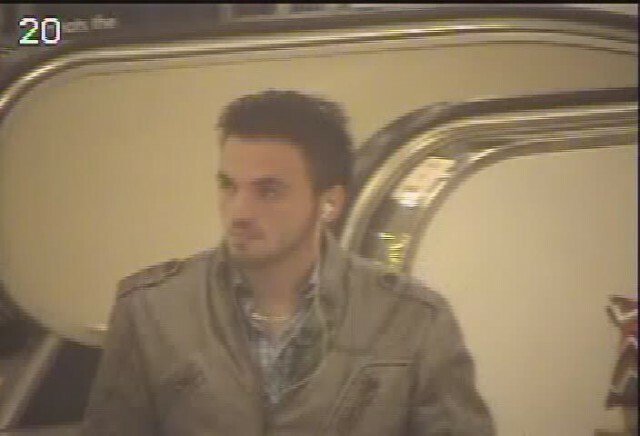 The photo above is a surveillance photo of the suspect provided by Windsor Police. Anyone with any information regarding the identity of the suspect is asked to call the WPS Financial Crimes Unit at 519-255-6700 ext 4330 or to anonymously to Crime Stoppers at 519-258-TIPS (8477).